A federal judge has ordered the Trump administration to allow two pregnant immigrant teens to receive abortions “promptly and without delay,” before putting her order on hold so the U.S. Justice Department could appeal the ruling. Meanwhile, the lives of the girls involved hang in the balance. The two teens—both 17; one 10 weeks pregnant and the other 22 weeks pregnant—are pawns in a larger legal battle over whether undocumented minors in federal custody should be able to receive abortions, Politico reports. The issue first ignited in October with a different 17-year-old pregnant detainee, who was ordered to be allowed to obtain an abortion immediately. Judge Tanya Chutkan, who was also responsible for the October ruling, said the legal principles at work in Monday’s case are essentially the same as those in October. Ideally, the case will follow the same trajectory, though a three-panel judge from the D.C. District Court must first hear the administration’s appeal, and action may be further delayed by a petition for the full appeals court to hear the case. 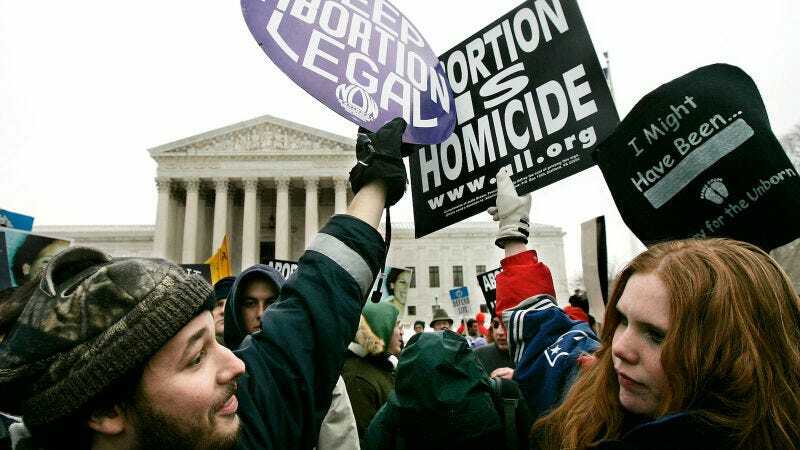 Continuing to block the teens’ access to abortion means they “will both suffer irreparable injury in the form of, at a minimum, increased risk to their health, and perhaps the permanent inability to obtain a desired abortion to which they are legally entitled,” Chutkan wrote. Additionally, officials also argued that the teens can simply access the procedure by returning to their home countries, an absurd suggestion based on the likely false premise that abortions can easily be obtained in the countries from which they fled. Another option is for them to find American sponsors, which Chutkan noted in her order was a long and complex process that will undoubtedly imperil the girls’ health. The New York Times points out that a U.S.-based relative of one of the teens has filed an application for sponsorship, but has not yet been approved. As it stands, the teen who is at 22-weeks will require surgery, with the other quickly approaching the limit for an abortion in the state where she is being held. An emergency stay filed by the Justice Department will kick in on Tuesday evening unless another court blocks it.